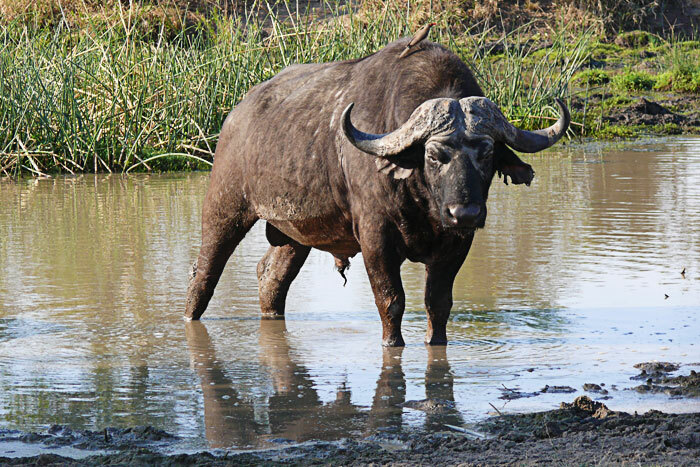 Frequently found around mud wallows at the end of winter, a lone 'dagga boy' (old buffalo bull) idles as an oxpecker sits upon his back. His enormous boss, full of abrasions, is particularly notable. 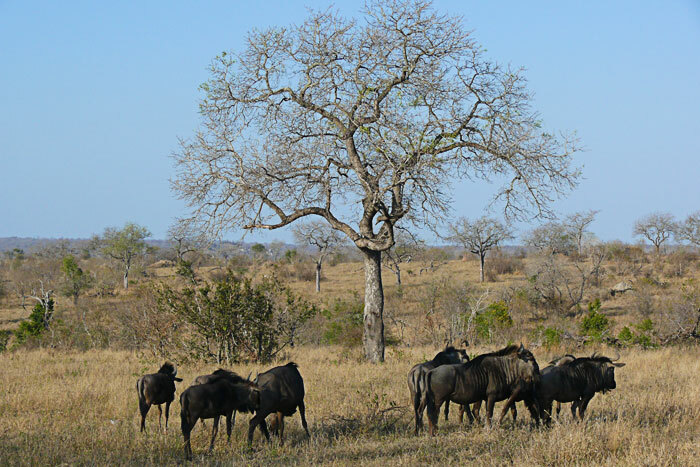 A herd of wildebeest move through the dry September veld. 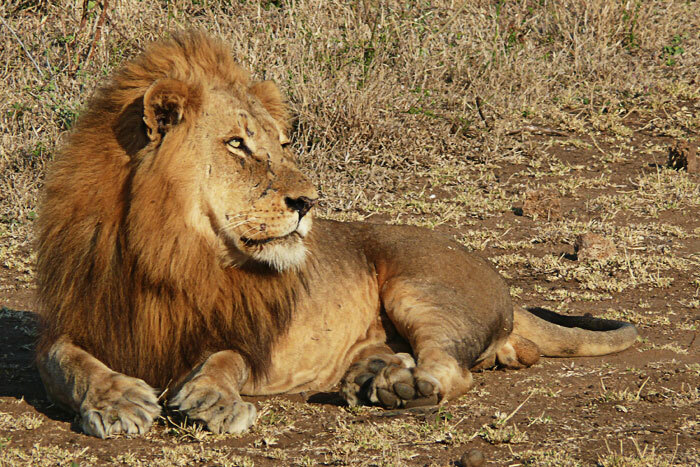 With the first rains inching closer everyday, the bush will miraculously transform almost overnight and give these animals a new lease on life as the green sprouts of spring arrive. 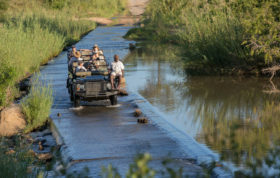 Constructed from the original railway sleeper that formed part of the original lowveld railway line running through the Sabi Sands in the early 20th century, they have now been laid to rest at the entrance to Varty Camp, a relic of an era long gone by. 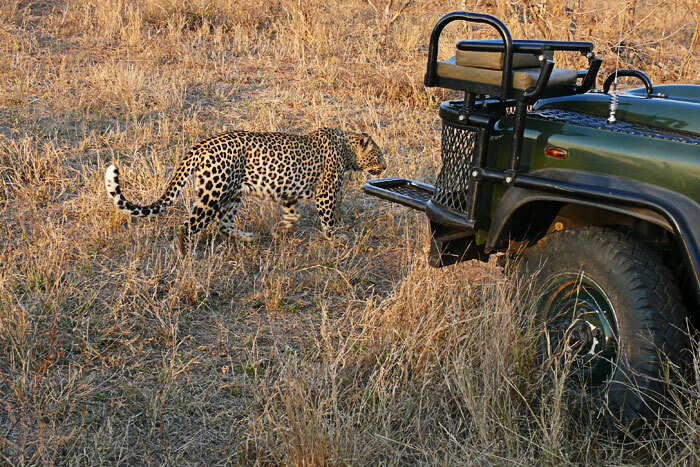 Our recent guest Merle, stands at next to these railway sleeper, about to embark on an morning game drive. Always a favourite amongst guests, rangers and trackers - the irrepressibly cute Tsalala cubs once again provide for an interesting and entertaining sighting. 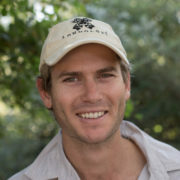 Londolozi Tracker, Judas, patiently watches a white rhino approach the vehicle. With ears pinned forward and snout carefully sniffing the air, this species poor eyesight means that it needs to rely on other senses to function effectively in the wilderness. 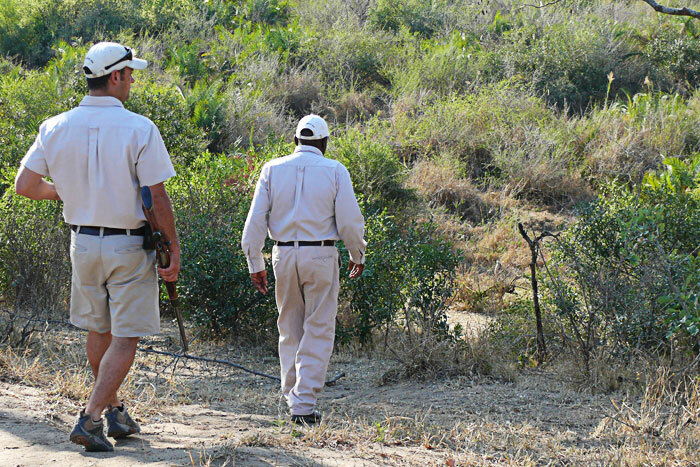 Descending into the dry bed of the Sand River, Ranger Byron and Tracker Judas set out to track and find the Vomba 3:2 Female leopard who frequents this particular area. 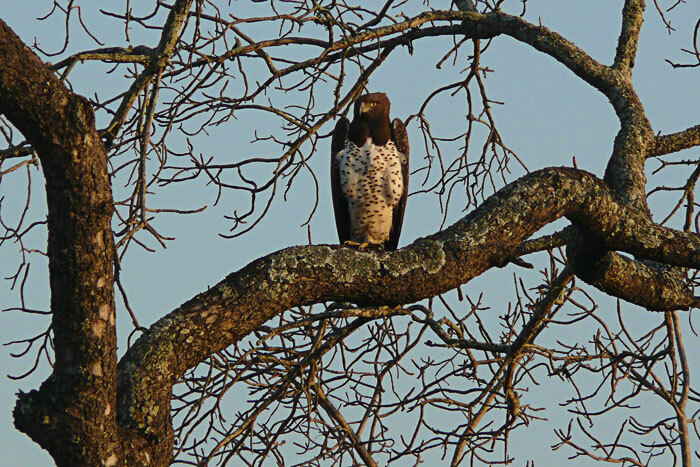 With its speckled white breast, brown head and proud shoulder blades the Martial Eagle is an unmistakable bird of the African bush. Although seen frequently over the last few weeks, each sighting of this spectacular bird is always a special experience. 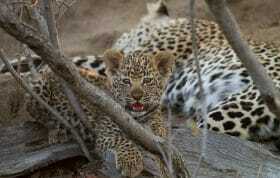 Hot and bothered, the Majingilane Male with the scatter facial scars raises his head to look at his brothers movements. Seconds later he would flop back down and sleep for much of the rest of the day. Fortunately Judas had removed himself from the tracker seat to sit inside the vehicle. If not he would have surely felt the white tip of the Vomba 3:3 Young Females tales as she sauntered past the front of the vehicle. 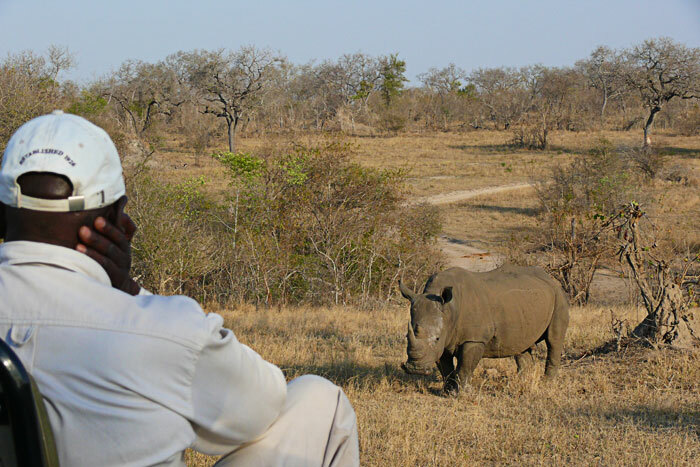 The Maxabene 3:2 Young Male casually struts past a white rhino. 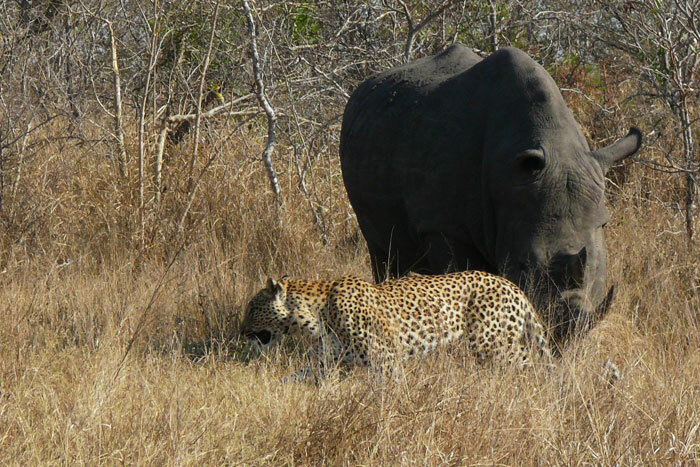 Barely acknowledging one another, each animal continued on their own path after this unique image was taken. Room 3 at the Private Granite Suites looks out onto the smooth granite rocks of the Sand River. 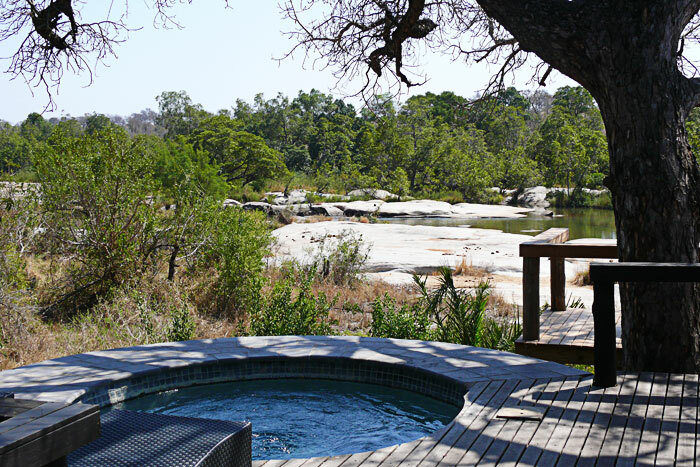 Shaded by a large Marula tree, this plunge pool must be one of the most relaxing places to be in the world. 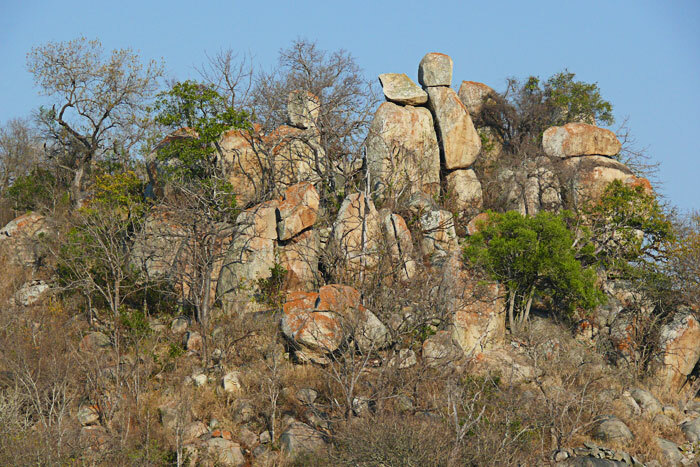 The granite koppies in Marthly are home to an assortment of birds, reptiles, antelopes and of course the Tsalala pride's young cubs. 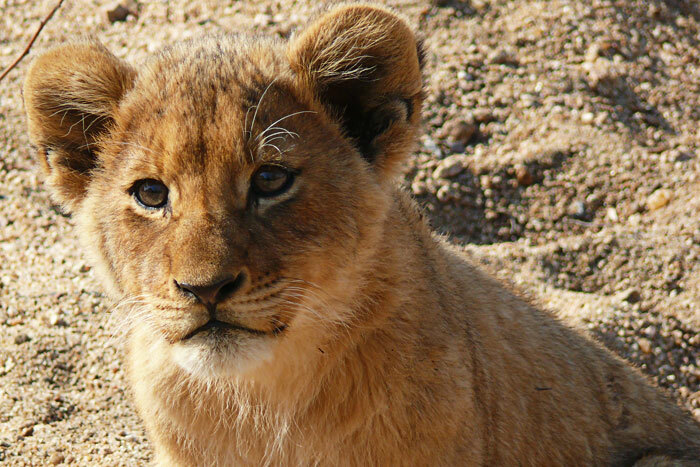 Over the last 9 months, the 2 Tsalala lionesses have effectively used these magnificent landmarks to raise and nurture their young. 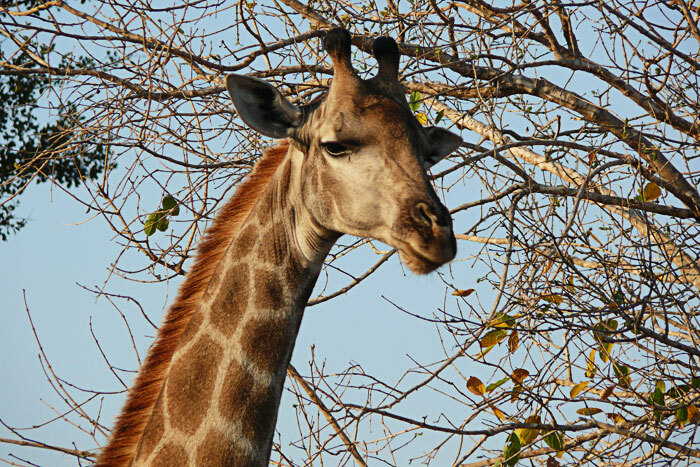 Nature's gentle soul - the Giraffe. 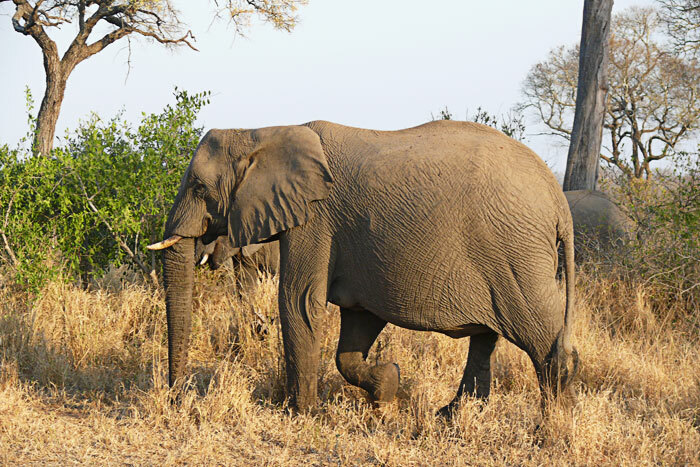 Elephant sightings are prolific at this stage of the years. Herd numbering up to 30 are frequently viewed close to the river as they use this natural water source as a form of relief from the heat and their own thirst. 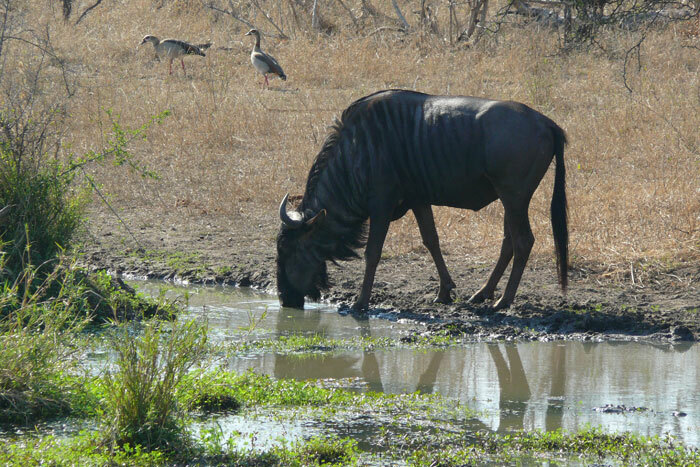 A wildebeest quenches her deep thirst at one of the remaining pans with water. Beautiful photos of an obviously magical place. Wow! All credit goes to Brian Datnow who took these beautiful images. Makes me ‘Homesick’! Thanks Brian, great pictures! Very nice pictures Brian. 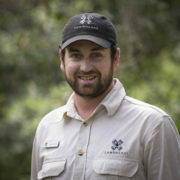 I relive my time at Londolozi every day through this blog and everyone’s wonderful pictures. And mine too, of course. 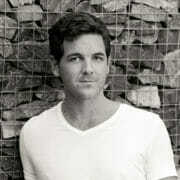 My name is Karen VARTY..
Beautifull photos. 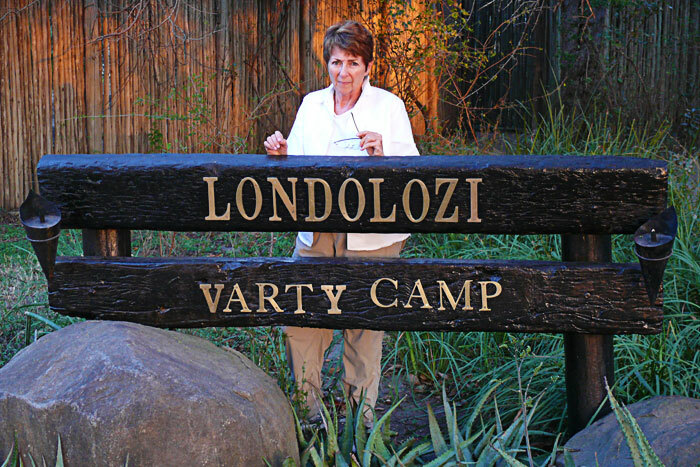 I would so like to visit the Varty camp.